Russian Volume lashes were originally developed in Russian, and is now hitting the USA and Europe by storm. 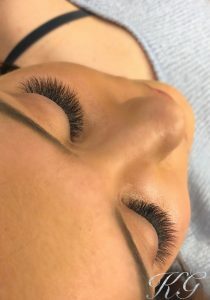 The difference between classic semi permanent lashes and Volume is a multi-pick up technique. Picking up 2-6 ultra-lightweight lashes, fanning and then applying to 1 natural lash. 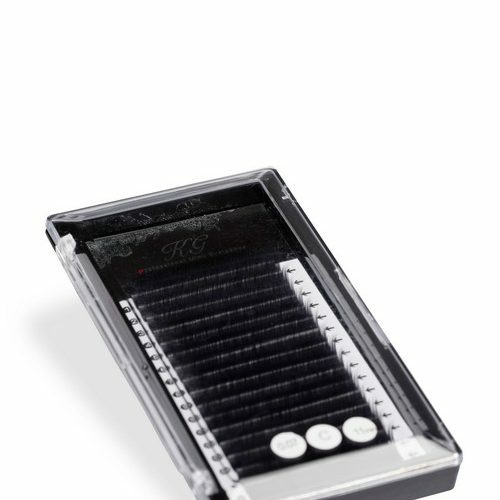 This gives the client full, fluffy lashes which are very comfortable to wear. At KG we teach 4 Techniques of Pick up. We recommend that you have been trained in Classic Semi Permanent lashes for at least 6 months and confident in applying them. 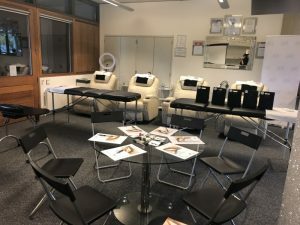 Russian Volume lashes are so different to apply and pick up that you would need extra training – Also you would need training and certification for insurance purposes. What are the benefits of Volume Lashes? The main benefit of volume lashes is you can cater for all clients needs. Whether they want a natural look or full look. You can also get a mega volume look from these too. Any look can be achieved with the Russian volume technique. It is great for clients with sparse lashes, gappy lashes as the fans hide the gaps and make them look much fuller than they actually are. 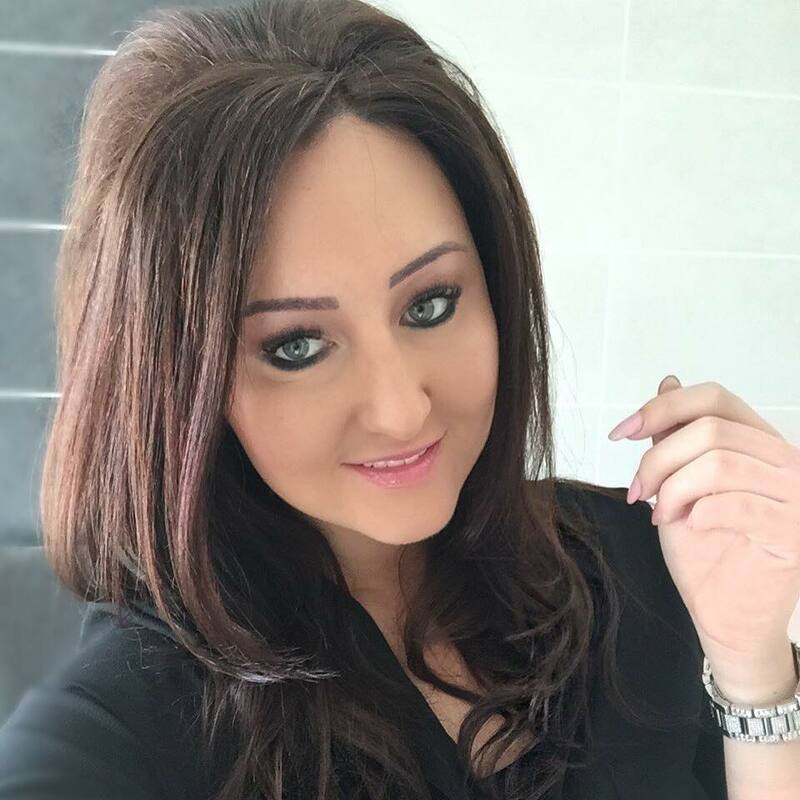 Katie Godfrey, Founder and Owner of KG – Winner of “Eyelash technician of the year” 2014 award has been specializing in lashes for 10 years – In January 2014 she flew over to New York to train with one of the best lash technicians in the world – Nadia Afanaseva, one of the original Russian technicians that developed this technique. Totally amazed and in love with this technique, when Katie brought this into her salon it totally took off with most clients converting to Volume Lashes. In 2016 Katie Godfrey then trained with Polina Glebanova and Marina Larskaya in “Super Volume Lashes” which are also available to the academy. Our courses are extremely popular which mean’s we have had to grow to reach the demand. Katie teaches all her educators to a very high standard. 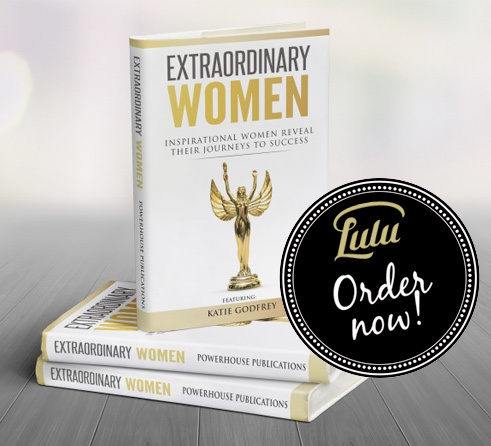 So no matter what trainer you have in your class they teach the same with Katie’s way of teaching. 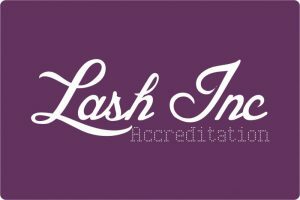 Our courses are Fully Accredited by BABTAC and Lash Inc – You will receive your certificate at the end of training which you will be able to gain insurance with. 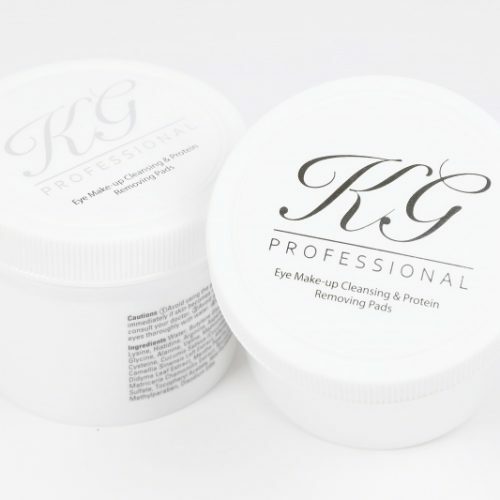 Products are also available for you to purchase on your training day if needed – KG Professional products are the fastest growing brand in the UK. All students get an ongoing 10% OFF.